Running Mac OS X on PC is tricky so you may end up in some rare problems like “Waiting for DSMOS” or “DSMOS has arrived” these occurs even in real mac computers too. Update: Written for OSX El Capitan. Works for macOS Sierra as well. 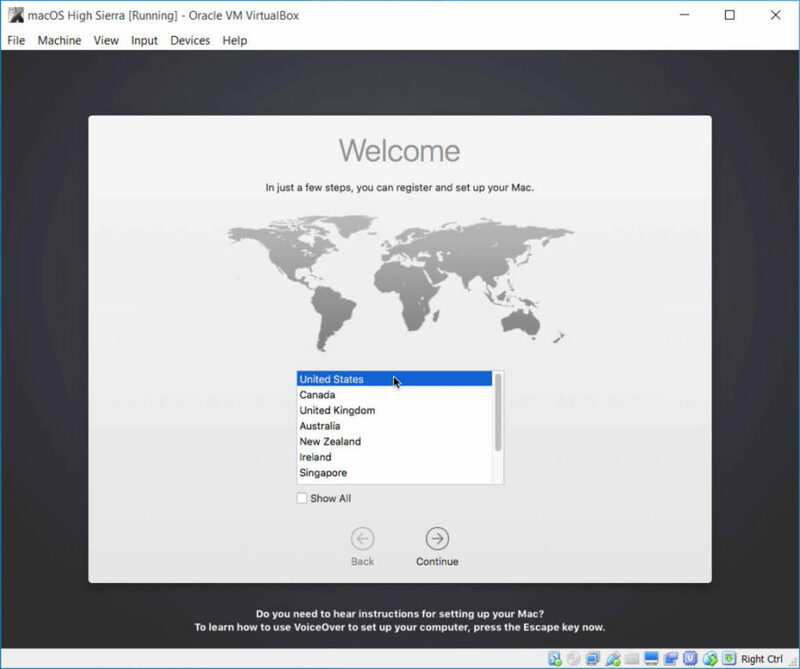 While VirtualBox is a great product easy to use to create Virtual Machines and configure in few minutes, trying to create a Virtual Machine with a OSX system could be very tricky. With this guide I will explain a procedure you can follow if you want to install a Mac OS X system on VirtualBox, running on Max OS X as well. I wanted to describe this because the information available are often confused, missing and too many times they require the download of extra software or installer (generally to avoid the very common issue where the UEFI Interactive Shell is displayed or the text “Fatal: no bootable medium found! System Halted”, that you can see if you selected EFI support for your Virtual Machine). If you find this useful or interesting please share and comment for more to come! Time to start! Table of Contents • • • • • • • • • • • • • • • • • • • • • • • • • Create ISO from installer The very first thing to do is to download the OS X Installer. I wrote a dedicated post for this and you can find it here: Time to do some magic! As it stand the installer will not work on the Virtual Machine (and you will experience the error I mentioned at the start of the article). What we’ll need to do is manipulate the installer disk in order to make it ready for our Virtual Machine to understand. I will put the whole list of commands at the end of this article, but I will explain every line to make it clear what’s going on. We’ll make heavy use of the “ hdiutil” tool. It is a command used to manipulate disk images and you can find detailed about this command here: 1. Attach the installer image First thing we need to do is attaching the image of the installer (that we downloaded) as a device. Effectively simulating a device (the installation disk in this case) attached to our mac. We achieve this using the “ hdiutil” command: “ attach“. Hdiutil attach '/Applications/Install OS X El Capitan.app/Contents/SharedSupport/InstallESD.dmg' - nobrowse - noverify - mountpoint / Volumes / esd 2. Create new image We want now to create a new image. For this we’ll use the “ hdiutil” command: “ create” • We give the image an output file: “ -o Installer.cdr“ • I’ll set the size to 7.5GB (you can increase it if you’ll need to): “ -size 7.5g“ • Then we specify the layout of the image. We’ll use “ SPUD“, that from the documentation: “SPUD causes a DDM and an Apple Partition Scheme partition map with a single entry to be written.” • For the filesystem (of the image) we’ll use the standard HFS+J: “ -fs HFS+J“. Hdiutil attach OSXInstaller. Dmg - nobrowse - noverify - mountpoint / Volumes / iso 4. Copy the System Installer to the new disk image The real installer is inside the disk image “BaseSystem.dmg” contained in “InstallESD.dmg” (that we attached to the volume “ /Volumes/esd/“). What we need to do is copy the content of this disk image (so the content of “BaseSystem.dmg”) into the root of our new installer disk (that we attached to “ /Volumes/iso/“). For this we use now the command “ asr” that copies disk images into volumes and we just tell it to restore the image from “ /Volumes/esd/BaseSystem.dmg” into “ /Volumes/iso“. The other options are to avoid verification and to skip the prompting of confirmation to continue (essentially to avoid to answer “yes” to the erase disk confirmation). Note: the “ -erase” option is now mandatory (or “asr” will refuse to run with the error: “File copy is not supported anymore. Use the –erase flag.”). This is the full command. Cp -rp /Volumes/esd/Packages /Volumes/OS X Base System/System/Installation At the end of this the “ Pakages” folder should be back in place (but for real this time, not anymore as a link) in the disk we are manually creating (the folder will be therefore in “ /Volumes/OS X Base System/System/Installation/Packages“). Copy the remaining missing files If you look again in the original InstallESD disk, you can see other files in the root: Ignore the two AppleDiagnostic files (we don’t care about these). We need to copy the two BaseSystem files in the root of our disk. Mv OSXInstaller. Amazon.com: wd my passport 4tb mac. From The Community. Amazon Try Prime All Go Search EN Hello. Sign in Account & Lists Sign in Account & Lists Orders Try Prime Cart 0. Your Amazon.com. 500G 1TB 2TB 3TB 4TB Western Digital WD My Passport Element. SSD-based Mac computers are great, but sometimes you need more space for your ever-growing iTunes and Photos collections. With the My Passport for Mac drive connected to your Mac, you can add up to 4TB of space for your favorite music and photos. Hi all, I have a 4TB WD My Passport and have struggled to connect to it and retrieve files from it since upgrading to High Sierra. I've tried using Disk Utility to erase the drive, partition it and even tried to re-download outdated Sierra software (which failed). I have lots of data on the drive which I want to save if possible, but nothing seems to help. I have also replaced the connector cable as I have seen that it has solved similar issues, however not mine. I would greatly appreciate some assistance! You've tried to erase it but you have data on it which you want to retrieve? Those two statements are diametrically opposing actions. If you want to keep the data, do not attempt to reformat the drive. However, here is how to do it. • Open Disk Utility. • Click the View popup menu above the drive list and select Show All Devices. • Select the Hard Drive device (most left, outdented item, usually with a name that matches the vendor). • Select Erase button. • Enter a name for the Volume. • Choose the format you wish, Mac OS Extended (Journaled), or (Journaled, Encrypted) are most appropriate. • Choose GUID Partition Map. • Click Erase. Hi Luis The drive is formatted as ExFAT as I previously used it for both Mac and Windows, but since I updated my software, I can't access anything. It is connected to my MacBook Air via USB. I tried First Aid through Disk Utility and it said everything was okay. I've also tried to partition it to Mac OS Extended (Journaled) and the operation fails. I can't seem to mount the drive nor can I erase nor restore it (I've been trying everything to try and just simply use the drive even if I lose my data). Not quite sure what to do! Apple Footer • This site contains user submitted content, comments and opinions and is for informational purposes only. Apple may provide or recommend responses as a possible solution based on the information provided; every potential issue may involve several factors not detailed in the conversations captured in an electronic forum and Apple can therefore provide no guarantee as to the efficacy of any proposed solutions on the community forums. Apple disclaims any and all liability for the acts, omissions and conduct of any third parties in connection with or related to your use of the site. All postings and use of the content on this site are subject to the. My WD My Passport 2TB Portable External Hard Drive has suddenly become unreadable on my laptop (MacBook Pro Server with macOS 10.12 Sierra) and I have tried on a MacBook Pro 2011 running 10.13 High Sierra with the same results. I'm wondering if anyone has any suggestions to repair the drive. I appreciate any assistance! WD My Passport is well-liked by customers for its auto backup and passport protection features. However, there are times that WD My Passport becomes unreadable on Mac. You may get the error message ' and the data stored on it becomes inaccessible. Under this situation, you can free download to recover data from the unreadable WD My Passport. Then, go ahead to fix the unreadable/corrupted WD My Passport on Mac without worrying about data loss. Causes of WD My Passport not readable on Mac error 1. Unwanted interruption or removal of your WD My Passport during transferring the data. Virus/malware infection to your WD My Passport. Incompatibility issue between your WD My Passport and Mac machine. Sudden power outage. How to fix 'WD My Passport unreadable' on Mac error? 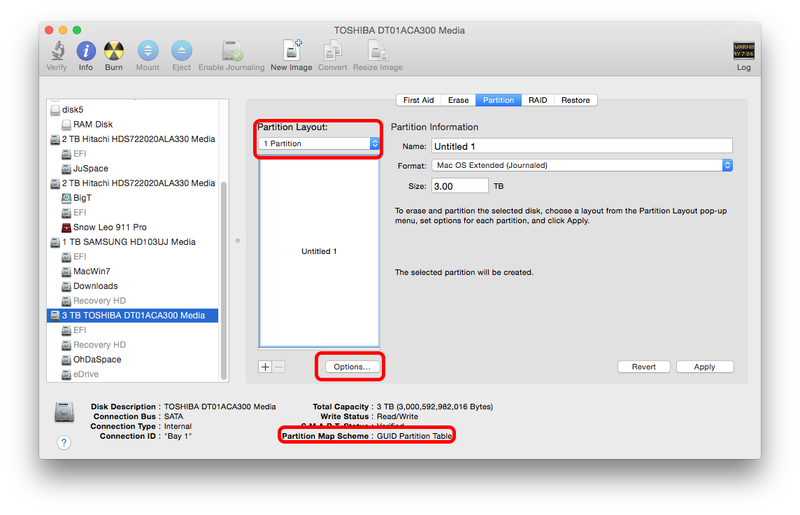 Solution 1: Repair unreadable WD My Passport in Disk Utility Disk Utility is designed to verify and repair minor errors of disks. So, When facing the on Mac issue,you can try to fix it with Disk Utility's First Aid. Step 1: Go to Applications > Utilities > Disk Utility. Step 2: In the sidebar, select the unreadable WD My Passport. Step 3: Click 'First Aid' button on the top of the window. In this case, we strongly recommend you to recover data from the unreadable WD My Passport with iBoysoft Mac Data Recovery. Solution 2: Recover data and reformat unreadable WD My Passport iBoysoft Mac Data Recovery is professional Mac data recovery software which can recover data from unreadable WD My Passport. It also enables you to,, or, etc. A cloud-based construction estimating software with onscreen takeoff, built-in reporting and progress claims for Windows and Mac users. Learn more about CostMiner. A cloud-based construction estimating software with onscreen takeoff, built-in reporting and progress claims for Windows and Mac users. Learn more about CostMiner. Easy-to-use, cloud-based takeoff & estimating software for contractors. Mac & PC compatible. Create Your Free Account Today! Learn more about STACK. American construction contractors have a lot of work to do. You need to oversee your workforce, manage projects, and handle clients. And you’ve also got to provide accurate estimates to win work. Without construction estimating software, this takeoff and cost estimating process can be one of the most time-consuming parts of your job. RapidBid is a revolutionary takeoff, estimating and bidding system designed for the construction and building industry. Everyone from start-up construction firms to nationwide contractors can use our suite of tools to streamline and speed up the tendering and bidding process. RapidBid helps you to compare and choose plans, clean up cluttered architectural drawings, and then color, count and scale to produce an accurate quantity for your estimate. Once you’ve used our tools to produce quantities, the software uses the materials prices and rates you provide to create an accurate bid. RapidBid takeoff and estimating software has been independently tested. In trials, it helps construction contractors to save upwards of four hours on every quote or tender they prepare. Imagine how much more business you could win with all that free time. We’ve listened to contractors from all over the world since 1980, and we’ve heard what you’ve said. You spend too much time behind a desk working on estimates. You don’t want to waste time with something that’s too complex to pick up and use. So that’s what we designed. 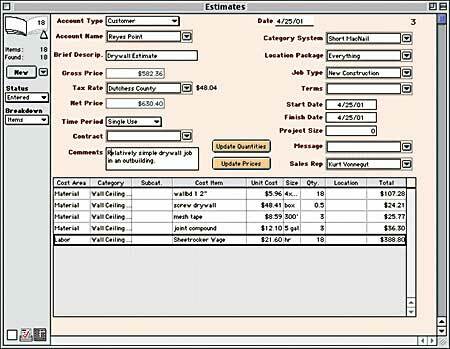 Our construction estimating software was designed to be simple to use, and to save busy people like you hundreds of man-hours every single year. If that sounds too good to be true, let’s look at how RapidBid’s estimating process stacks up against your usual manual takeoffs. RapidBid turns a time-consuming process of downloading folders of PDF plans and clicking in and out of folders into a series of yes or no questions. RapidBid pre-loads all of the drawings in your tendering folder and asks if you need them to prepare your quote. Yes, and the plans are saved to your RapidBid project. No, and they’ll be ignored. No need for dragging and dropping files. After you’ve selected the drawings for your construction project’s takeoff, you would usually need to get them printed. Whether you use a professional printer or your own office printing system doesn’t matter – this has a dollar value both in the cost of the printing and the time you spend. With RapidBid, you can skip this step. Visio is the most conspicuous example of a program that I found useful on Windows for which I have not identified a Mac-compatible replacement. Visio's primary function is as a flowchart diagramming tool. It allows the user to construct complex information flows with smart objects and interconnect graphics that snap and bend as the user moves things around on the page. It's morphed over the years to support other diagram and information flow views like IT diagrams and UI mockups. What's out there that can replace Visio on the Mac? Surprised to see that isn't on here. • HTML5 based • Supports all the IT libraries I want • Import and export any Visio files • It has a visio viewer that allows you to edit and view visio files. This is because its integrated with your google drive so it is easy for Lucidchart to allow you to work on those files and export it. • Lucid chart has a collaborative interface that allows to easily work with small teams editing rather than having to send a diagram back and forth. • Its free for a single user. (there are other options which do have prices attached which isn't too bad) • It has a drag and drop feature which makes it easy to use and is very intuitive. An alternative viewer to the one mentioned in Donald B's answer is: A smart file viewing tool to support the use of Visio files by Mac OS users, enabling them to view, save and print Microsoft Visio drawings and diagrams on Mac OS X 10.7 and higher. • View Microsoft Visio Drawings in VSD format easily on Mac. • Convert Visio to PDF with original elements retained. • Support multi-tab viewing to switch between multiple Visio files easily. It is a 'Paid-For' product however it is available as a 'Free Trial', to allow you to try before you buy (if so desired). 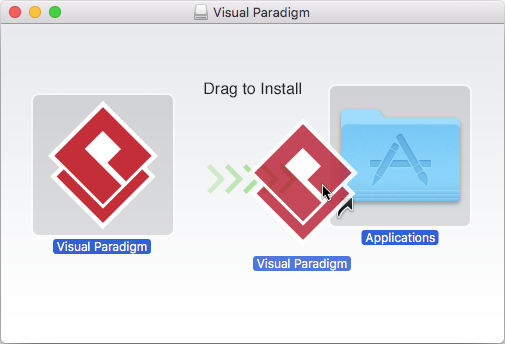 Need Visio for Mac OS X? Lucidchart is the best Visio alternative for Mac OS X - it's easier to use and collaborate at a lower cost. Start a FREE account today! How To Run Visio On Mac Using Azure RemoteApp (Discontinued) Important Note: This alternative tutorial is only for legacy purposes.Since this tutorial was written, on August 12th 2016 Microsoft announced that Azure Remote App will be discontinued in August 2017 and transitioned to the Citrix platform. Many IT-professionals, technicians, software developers, network engineers, business analysts and project managers use MS Visio ® for visualizing and presenting complex information in a visual form with charts, diagrams, graphs and other drawings. The program is quite expensive, and, moreover, it causes problems when you need to collaborate on Visio ® files on non-Windows platforms. There are some Visio ® alternatives for Mac OS X. Let’s look through them and find the best way to work with Visio ® diagrams on a Mac. Lucidchart Lucidchart is an online tool to view and edit Microsoft Visio ® documents. It allows you to to create visual data right in the web browser. The application is cloud-based, so it can be used from desktop computers and mobile devices. It supports native Visio ® file import and export, so it may be a good alternative to Visio ®. Also the files can be exported to PDF or saved as an image (.jpg,.png). With a registered account you can save the drawings in a gallery service. Cost – from $4.95 to $20 per month depending on license type. OmniGraffle OmniGraffle is another Visio ® replacement. The application is designed for Mac and iOS and used to create complex graphs, layouts or charts. The app provides a wide range of design tools including canvases, templates, stencils, vector drawing, and grid guides. It supports Visio ® files importing and exporting the graffles to JPEG, BMP, EPS, GIF, HTML Images, Template, Stencil, PNG, OO3, TIFF, and PDF file formats. Omnigraffle is a very powerful tool, similar to Microsoft Visio ®, however, layers cannot be shared among some versions of Visio ® and OmniGraffle. Microsoft is working on a new Windows 10 app which will allow users to remotely control other users’ PC. The app, which the company is calling Quick Assist will essentially be Microsoft’s own version of TeamViewer. As it seems like, Microsoft is making Quick Assist to be more of a support tool which will allow a user to remotely control and provide assistance. Microsoft Quick Assist enables two people to share a computer over a remote connection so that one person can help solve problems on the other person’s computer. This for a while now. In previous versions of Windows, it is known as the Windows Remote Assistance which basically allowed users to do the same thing as Quick Assist. With Windows 10, Microsoft is just re-designing it to give it a modern look. Quick Assist works pretty similar to TeamViewer: when you want to request assistance, you’ll need a code from the user you are requesting support from. And when you want to provide assistance, you will get a code which you’ll need to share with the other user. The app also includes features such as sketching, and it will be a pretty sweet feature for Surface users. However, the app is currently missing important features such as the ability to transfer files between two PCs, which Microsoft will hopefully add in the future. As for the actual remote controlling feature, Microsoft seems to have nailed it. In our own testing, remote controlling a PC using Quick Assist was pretty smooth. As you may notice in some of the screenshots above, the app does not seem to be ready for the public just yet. The app is actually available in Windows 10 Insider Preview Build 14352 — however, it won’t show up in the All Apps list. To use the app, you’ll just need to open Cortana and search for “quick assist” and it should show up in the search results. Quick Assist is definitely a really nice feature which a lot of Windows 10 users should love. If you are not an Insider, you should be able to try out Quick Assist with Windows 10 Anniversary Update, which is coming later this summer as a free upgrade to existing Windows 10 users. Supported by Windows and Mac OS X, the tool is simple, easy-to-use and easy to set up that makes this tool a great fit for beginners and amateurs, beginning out on the Remote desktop application. This setting can be accessed from the computer’s System settings, found in the control panel. Thanks, for helping me try out Quick Assist! Some links in the article may not be viewable as you are using an AdBlocker. Please add us to your whitelist to enable the website to function properly. Deals At a special event in October last year, HP announced a new detachable convertible PC, the HP Spectre Folio. Dressed in leather, the high-end laptop can be a tablet, laptop or turn into a pr. Last year, Microsoft announced new next-generation Surface devices, the Surface Pro 6, the Surface Laptop 2 and the Surface Studio 2. These devices are now available for pre-order in Italy a.
Microsoft Store is offering up to £200 discount on select Surface Book 2 models in the UK and up to $200 in the US. Surface Book 2 comes with 8th gen Intel Core processors allowing you to. If you loved the promise of Continuum for Phones and want a taste of that with your Android phone, you may be happy to hear that Samsung’s new Dex Pad has hit its lowers price yet. If half the gifts you opened this Christmas were socks and ties, it might just be time to spend some of your own cash on a present to yourself, and there is none easier to justify than an Ap. Perhaps you’ve missed the last minute deals for Christmas day and just want to go out and pretend you had these tech gifts all along, or maybe you went out and plan to take advantage o. Just in time for Christmas, Microsoft is offering deep discounts on the Surface Pro 6 and Type Cover Bundle at the Microsoft Store. You can pick up the Platinum Type Cover bundle with the I. Amazon is selling Facebook’s Portal and Portal Plus for a $50 discount today. The regular Portal which normally costs $199 can be had for just $149, while the Portal Plus is available. You can now get 42% discount on 12-month Xbox Game Pass membership from Amazon US. After the discount, you can buy it for just $69.99. With Xbox Game Pass membership, you can: Get unlimited. This holiday season, for a limited time, Microsoft is offering deep discounts on Xbox One bundles, letting you give the gift of thrills to your loved ones or to jump into gaming yourself for. Menu • Related Reddits • • • • • • • • • • • Invites & Signups • • • • • Info • Welcome! Welcome to the torrents subreddit. We are a thriving community dedicated to helping users old and new understand and use torrents. Please read over the rules before contributing. We only have a few, but they are important. Rules • No pirated content. [ ] This subreddit is for the discussion of torrenting culture and learning how to use torrents. Topics focused on piracy & pirating specific content will be removed. Try,, or instead. • Search before you post! (also see Common Post Topics listed below) • No invite or account requests/offers. For invites:. For trackers with open signup:. For info on recruitment/joining private trackers:. • Discussions focused on topics covered in other subreddits may be removed (see Related Links below) • This is not a place to discuss DDL sites. • YIFY encodes are and so stop posting about them. • Peerblock & related blocklists have done despite what your confirmation bias has proven. • This is not a so please don't post every article they write. • Do not request or post torrent links or seed requests. For legal torrents try. Alternatively try,,,,,,,. • The queue is why half the mods drink and the other half cry themselves to sleep. Common Post Topics In no particular order. Related Links General Media playback/subtitle/etc. Hey guys, I would first like to say this is my first post here, so I apologist in advanced if there is anything im doing wrong in this post. Anyways like the title says is there a multi torrent website search? Something where I can just search across many torrent websites at once and add other websites for it to search as well. I have been looking around, I have found things like frostwire, bit che, but this there anything better. Like something like strike search but shows which web site torrents are from(like frost wire), and you can add websites to it. Pretty much making a big huge torrent website or program that searches all of them at once. Thanks guys and have a great day! :D • • • • •. Ambiguous name excel for mac. We’re excited to announce that Outlook for Mac will soon start syncing calendars via REST for Office 365 customers in the Insider Fast program. What you need to know We're introducing a new syncing model for sharing calendars in Outlook for Mac for Office for Mac Insider Fast. These changes will bring improved reliability and performance of calendar sharing in Outlook for Mac based on the use of REST technology. In the past, the list of shared calendars was previously stored locally for each installation of Mac Outlook. Samsung tv apps for mac free. As a result of this upgrade, Outlook for Mac will now use the server-roamed list of calendars. For more information about shared calendar improvements across Outlook, please see this. This allows for high-quality, readable images to be stored in a minimum of space, so that they can be made available on the web. About DjVu Format The DjVu format is a computer file format designed primarily to store scanned documents, especially those containing a combination of text, line drawings, indexed color images, and photographs. It uses technologies such as image layer separation of text and background/images, progressive loading, arithmetic coding, and lossy compression for bitonal (monochrome) images. Djvu viewer for mac os x. Make Important Email Standout in Outlook with Color Coding. Type in the email address of the sender or senders you want to highlight. For multiple people, separate the email addresses with a.
I had to go and check what this post was originally referring to. As of Tenant 16.0.6965.2092 of Office 365 (and I would presume Office 2016, which I will confirm soon), the Folder Pane in the Calendar view of Outlook 2016 does 'bold up' when there is an appointment on a day: I hope has in the meantime upgraded to Office 2016 or Office 365, and that he is having a good experience., if you are having an issue with Office 2016 or Office 365, please reply and let us know. :-) Thanks! Microsoft evangelist Windows Insider (MCDST, MCTS, MS, DCSE). Note This topic applies to Visual Studio on Windows. For Visual Studio for Mac, see. Why should I sign in to Visual Studio? When you sign in, you enrich your Visual Studio experience. For example, after you sign in, you can across devices, extend a trial, and automatically connect to an Azure service, to name a few. Here's a full list of what you can expect and what you can do after you sign in: • Access to the Visual Studio Dev Essentials program - This program includes free software offerings, training, support, and more. See for more information. • Synchronize your Visual Studio settings - Settings that you customize, such as key bindings, window layout, and color theme, apply immediately when you sign in to Visual Studio on any device. • Unlock the Visual Studio Community edition - If your Community edition installation prompts you for a license, sign in to the IDE to unblock yourself. • Extend the Visual Studio trial period - You can use Visual Studio Professional or Visual Studio Enterprise for an additional 90 days, instead of being limited to the trial period of 30 days. • Unlock Visual Studio if you use an account that's associated with a Visual Studio subscription or an Azure DevOps organization. • Automatically connect to services such as Azure and Azure DevOps Services in the IDE without prompting again for credentials for the same account. How to sign in to Visual Studio When you start Visual studio for the first time, you're asked to sign in and provide some basic registration information. You should choose a Microsoft account or a work or school account that best represents you. If you don't have any of these accounts, you can create a Microsoft account for free. See Next, choose the UI settings and color theme that you want to use in Visual Studio. Visual Studio remembers these settings and synchronizes them across all Visual Studio environments you have signed in to. For a list of the settings that are synchronized, see. You can change the settings later if you open the Tools > Options menu in Visual Studio. Returns empty text (“”) if the worksheet that contains reference has not yet been saved. Ambiguous name excel for mac. “format” Text value corresponding to the number format of the cell. After you provide the settings, Visual Studio starts, and you're signed in and ready to get started. To verify whether you're signed in, look for your name in the upper-right corner of the Visual Studio environment. Unless you sign out, you're automatically signed in to Visual Studio whenever you start it, and any changes to synchronized settings are automatically applied. To sign out, choose the down arrow next to your profile name in the upper-right corner of the Visual Studio environment, choose the Account settings command, and then choose the Sign out link. To sign in again, choose the Sign in command in the upper-right corner of the Visual Studio environment. To change your profile information • Go to File > Account Settings and choose the Manage Visual Studio profile link. Drastic ds emulator mac. • In the browser window, choose Edit profile and change the settings that you want. • When you're done, choose Save changes. Troubleshooting If you encounter any problems while signing in, please see the page to get help. See also • • • • Feedback. Mac; Android APK; Linux; News & reviews. CD Burner DVD Burner Disc Copier Burn Burner Backup Copier. SYSTEM REQUIREMENTS. Nero 9 Free is part of these download collections: Open NRG. 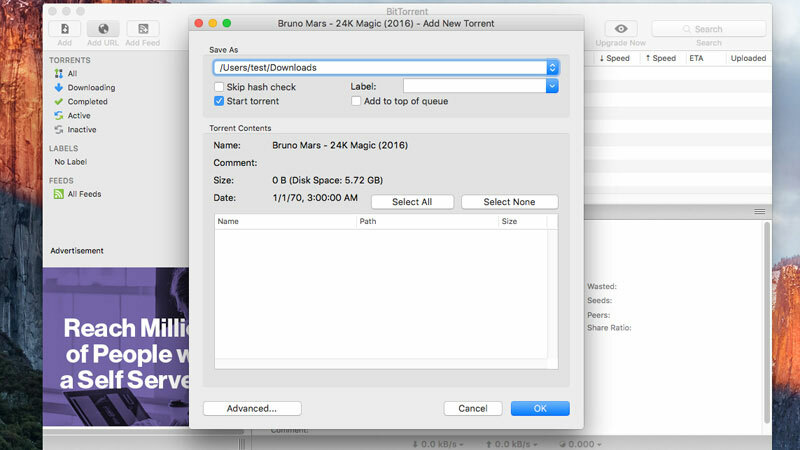 3herosoft DVD Creator for Mac. 3herosoft DVD Creator for Mac, best Mac DVD Burner software and useful Mac DVD Creator, can burn DVD on Mac like convert MPEG, DivX, WMV, AVI to DVD and burn DVD movie on Mac OS fast and easily. Those that have recently switched to Mac from Windows often miss certain applications that aren’t available on OS X. Ie for mac os x download. One of these is for burning DVDs and CDs. Fear not however because there are alternatives to Nero on Mac to burn discs with. Is the most comparable burning suite to Nero. Like Nero – which now calls itself a “multimedia suite” – Toast offers more than just burning including video and audio editing and even management of your TiVo recorded TV shows. You can also create hybrid discs with Roxio Toast that will work on both Macs and PC. Isn’t as sophisticated as Roxio Toast but for simple burning tasks, it’s perfect. 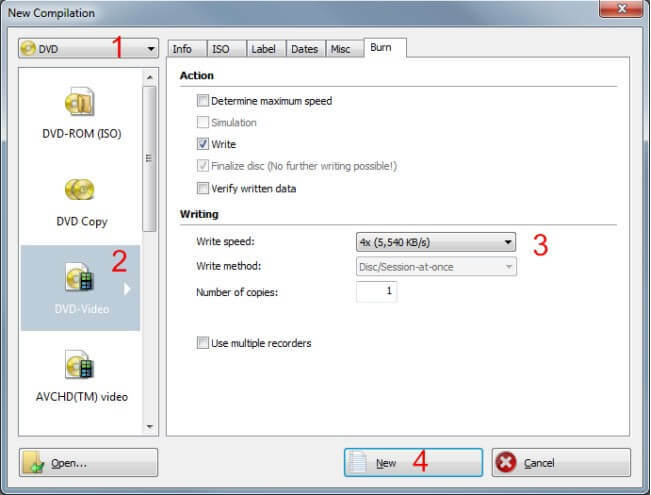 SimplyBurns has a simple GUI which takes you step-by-step through the process of burning data, audio, copying, ripping and image burning. Best of all, unlike Toast it’s completely free. Is probably the simplest of the lot. Excel not sorting first row. I got the same message today as well. 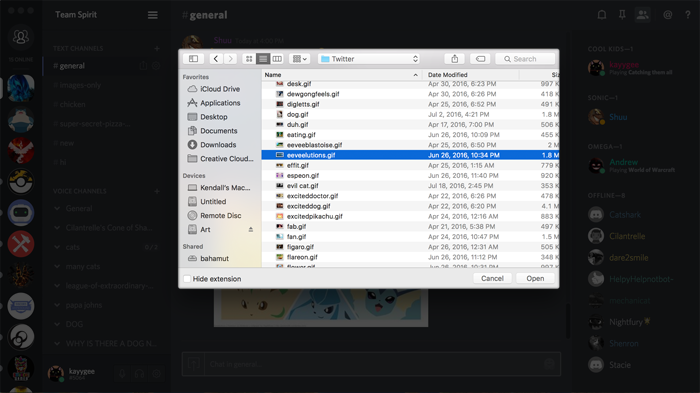 Open bin file mac. This worked for me: To get around this, temporarily disable Gatekeeper as follows: • open System Preferences and the 'Security & Privacy' options • Click the padlock at the bottom if it is locked • Set 'Allow applications downloaded from:' to 'Anywhere'. I use it regularly for basic burning because it’s far easier and better than using OS X’s in built, especially for burning ISO images. It’s also excellent for burning video files as it gives you presets for VCD, SVCD, DVD-Video and DivX files meaning it does all the conversion and encoding for you. Oh, and it’s free. Discord 0.0.251 - All-in-one voice and text chat for gamers. Download the latest versions of the best Mac apps at safe and trusted MacUpdate Download, install, or update Discord for Mac. 3D fantasy world base game Lords of Discord by HeroCraft Ltd. Is now available on PC. Like other fantasies world strategy games you have to build your own fantasy world in Lord of Discord. The graphics are way better then other fantasy war games as the team who is working on Lords of Discord are die-hard fans of the strategy type games and its one of the main reason the Lords of Discord is so. Clownfish Voice Changer for Discord, Mac, Skype, Teamspeak can be used easily. Just read this guide about Clownfish Voice Changer discord. Is an fantastic software created by Shark Labs, Sofia. It can translate your voice into various other sounds that we have mentioned below. Clownfish Voice Changer This enables you to change the voice in other apps which requires a microphone. In general, it modifies your voice on apps like Hangouts, Viber, ooVoo, Skype, Mumble, Omegle, Discord, TeamSpeak, etc. The following sounds are available in which you can transform your voice. • Atari • Clone • Mutation • Fast Mutation • Slow Mutation • Alien • Silence • Male Pitch • Female Pitch • Helium Pitch • Baby Pitch • Radio • Robot • Custom pitch Apart from this, there are certain cool feature related to that you need to know. Clownfish Voice Changer Discord • The name of the software comes from a family of fish well known as ‘Pomacentridae’. This family of fish contains mainly two fish, i.e., Anemone fish and Clownfish. • Effects like high sound, deeper, older or younger are quite enthusiastic in this app. • One of the features that makes me love Clownfish Voice Changer the most is that you can modify the file even many days after of the actual saving date. • This software is basically available for windows and it does work on Windows 7/8/8.1/10 and even Vista. However, if you use any other version of Windows this software isn’t going to work for you. • The wide of choice of sounds as mentioned above is what I am fan of in this app. It provides around 10-12 different sounds that we can use. However, you need to adjust the effects in order to make it work properly. You can download the app by using the link below. Feel free to share your thoughts with us. We are available 24/7. Download links. SUBREDDIT RULES Rule Description 1. Keep It Civil And No Witch Hunting Keep it civil and respectful, and do not make personal attacks or use offensive language in addressing others. Absolutely no harassment, witch-hunting, sexism, homophobia, racism or hate speech will be tolerated. Posting Standards Low-effort/low-quality posts, recent reposts, or posts that are not directly related to Discord are subject to removal at the moderators' discretion. Questions about other services, bots, or servers should be directed at their specific support channels. Safe For Work Content Only This is a safe-for-work subreddit. Any NSFW or objectionable content will be removed. Don't Advertise, Spam, Or Self-Promote No advertising, self-promotion, spamming, selling, trying to buy, trading, or begging. Asking for or providing invites to non-official servers is not allowed. Posts and comments containing such content will be removed 5. Bug Reporting Or Feature Requests Bug reports should be reported to the. High quality feedback, feature requests, concept art or similar is allowed as long as you link to a related submission. Official Support Or Outages This subreddit is for talking about Discord as a product, service or brand that do not break Discord's. If you believe a user has violated Discord's Terms of Service. If you are having an issue with Discord's product, or need to contact them for any reason such as if you think you are experiencing connectivity issues or an outage or on. (Hover over a specific rule for more information!). Eb games for mac.